An OAP Club Christmas dinner. On the right at the back is Eva Goodwin. I have no idea who anyone else is. Recognise anyone? Picture would be be pre 1992 – that is all I know about it. 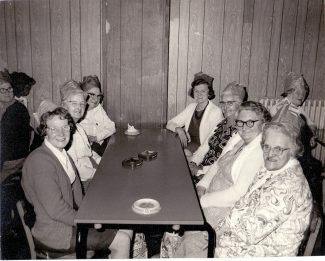 On the right hand side at the end is Mrs. Eva Goodwin and next to her in my Mum, Alice (Ceita) Raven — 4 of these ladies lived in Brennan Road. The lady next to Mrs Nevard is Mrs Bessie Baird nee Sullivan. This happy photo has two of my aunts in it. 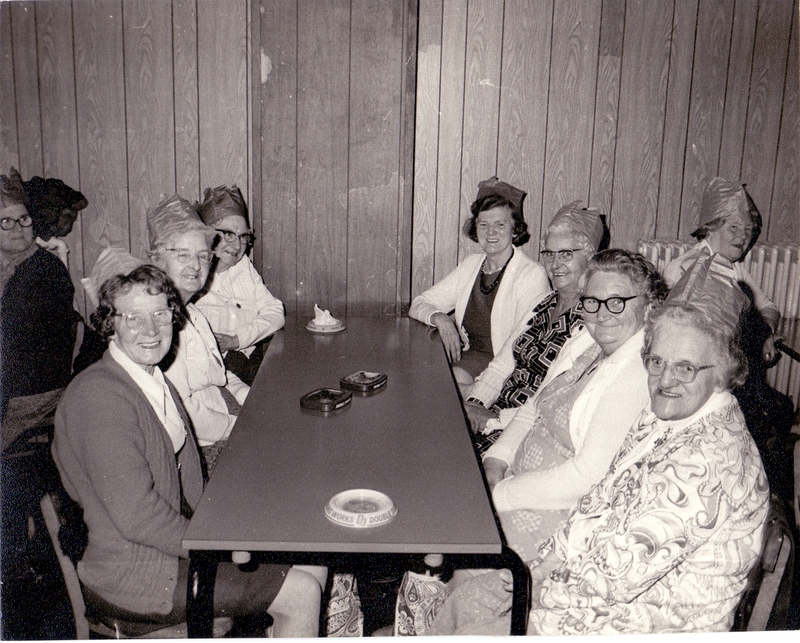 On the main table, back left is Mrs. Andrews, next to her is her sister Mrs. Nevard. Two kind, generous ladies who lived and raised their families in Tilbury. Children of Tilbury 1950's ?